The bearing was not a lot of fun to remove. I don't have a puller, so I just gently tapped until I got it loose. In my previous post, I had prepped the stand components, the center band, the eye guard frames, the quench base, and the wheel guards. 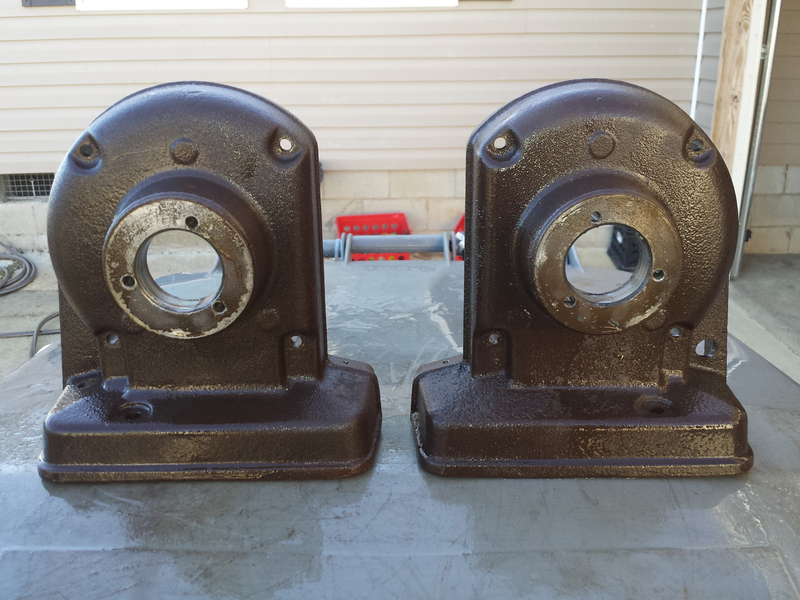 The end frame halves required me to remove the bearings, so they’ll be discussed separately. At this point, I had settled on a paint scheme. The stand, eye guard frames, and center band would be painted close to the original power bronze, while the grinder itself would be done in a glossy chocolate brown. 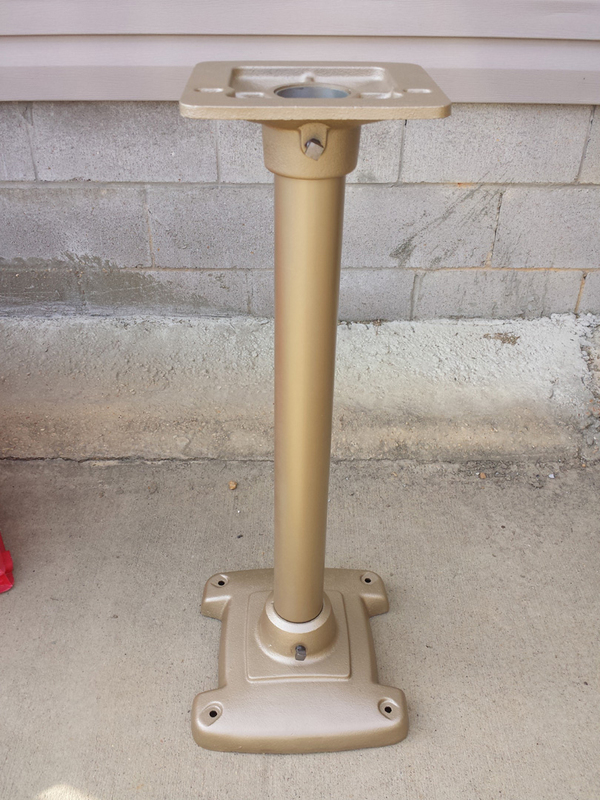 I used X-O Rust bronze and Rust-oleum Professional Dark Brown. 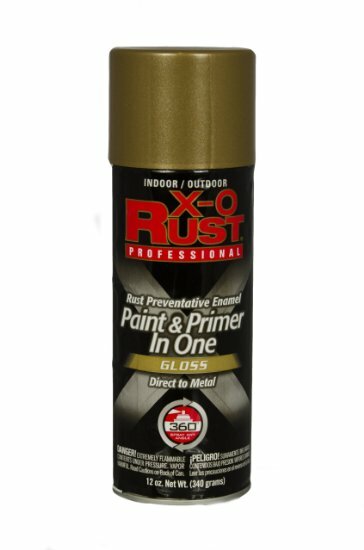 X-O Rust in Bronze is a good paint match for Craftsman Power Bronze. I set off the bronze with a nice glossy chocolate brown. 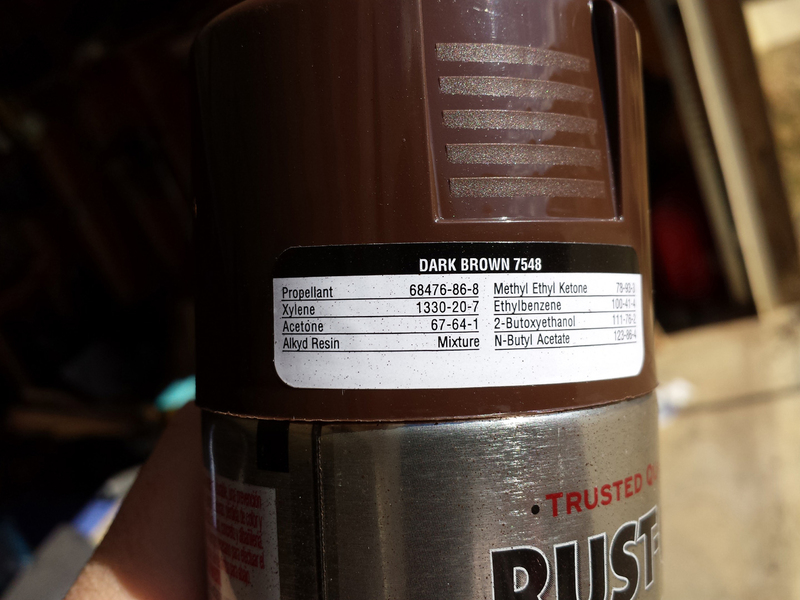 I used Rust-oleum Pro Dark Brown. 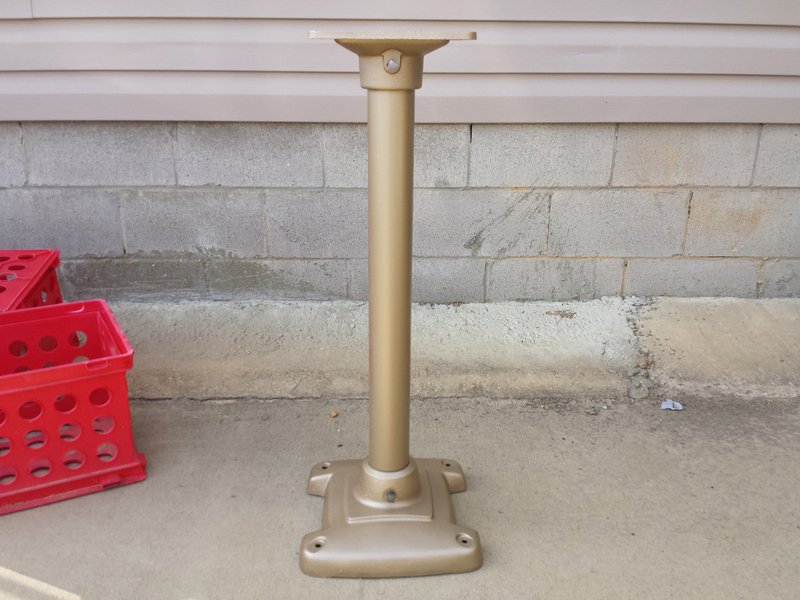 The stand was painted with X-O Rust Bronze. 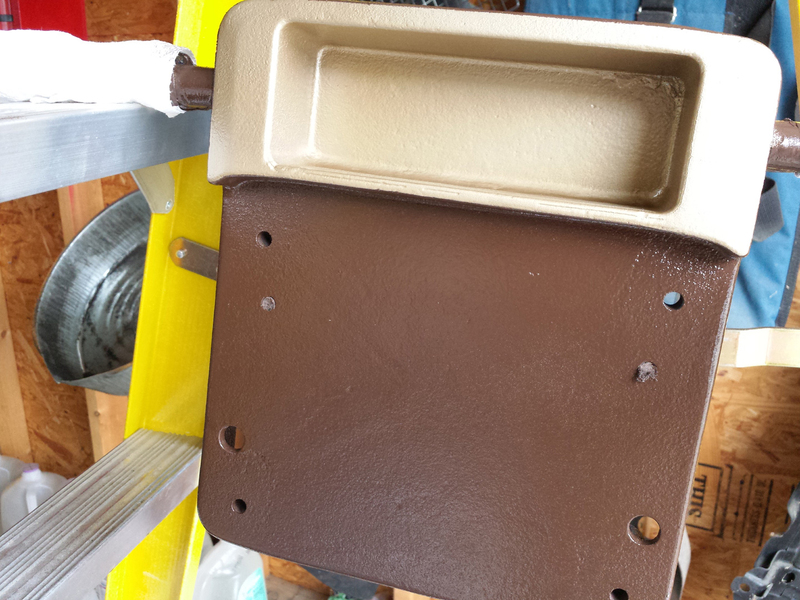 The quench base was painted bronze, then the quench tray was masked off and the rest of the base was painted brown. I think the bronze helps you see any small parts that are sitting in the quench tray. I painted the cast iron parts of the tool rest (except the rest plate, which I just waxed), the spark arrestor, and the wheel guards brown. The frame doesn’t have glass yet. I replaced the hardware with stainless fasteners. At this point, let’s talk about disassembling the end frames and freeing the rotor and stator. I’ll refer to the left and right sides as you would see them if the grinder was facing you (so the power cord goes in the right side and the lamp comes out of the left). To separate the two end frame halves, you remove four end-threaded rods with acorn nuts and gently pry or tap the left side loose first. The right side has the centrifugal switch attached inside the end frame, so the easiest way to disassemble it would be to pull the left bearing and end frame, then pull the right bearing, then remove the rotor towards the left side, then perhaps use a long screwdriver to carefully go through the stator and unscrew the centrifugal switch, allowing the right end frame to be removed. 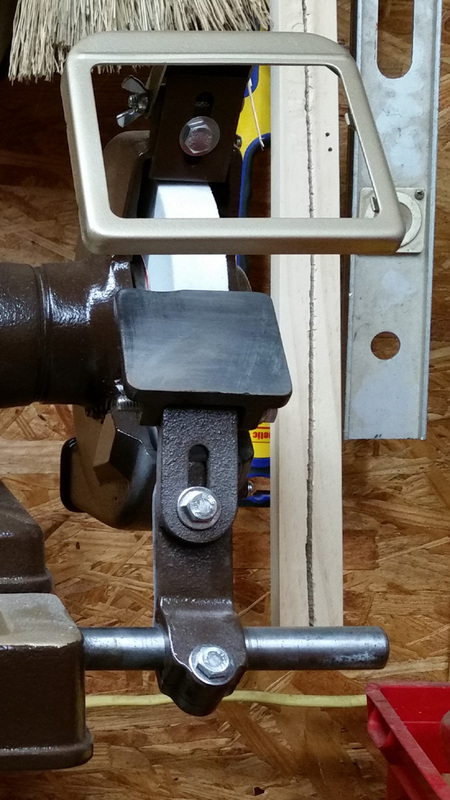 I didn’t have a puller, which would have made all of that easier. 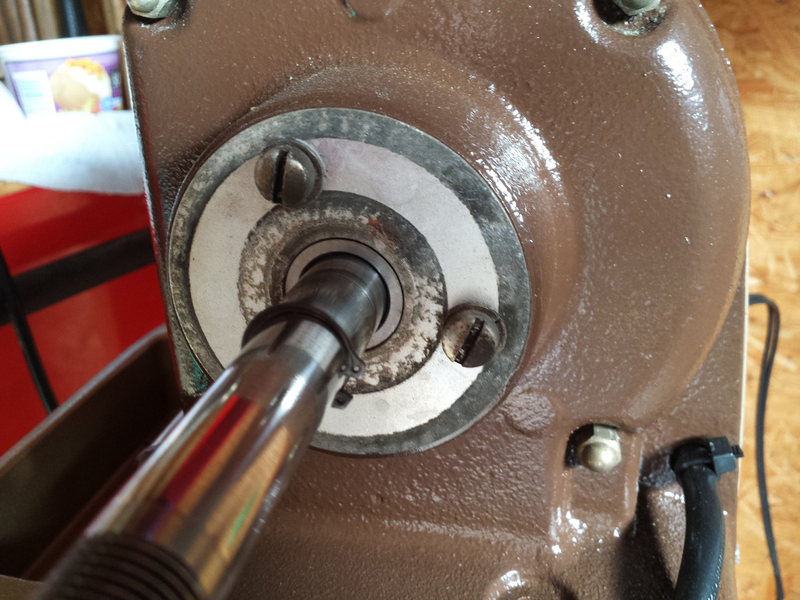 The bearing (green) is press-fit on the shaft, and it will not pull through the end frame housing, so it’s a little challenging to remove. 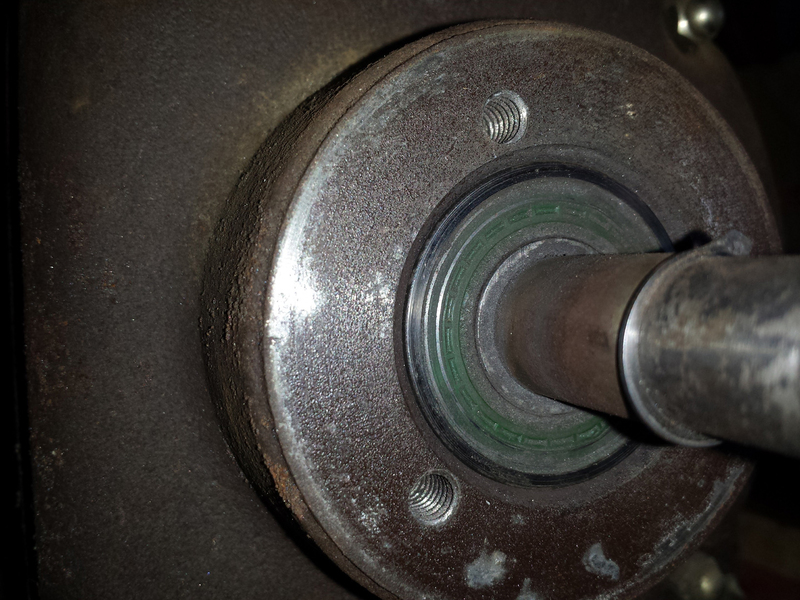 Another view of the bearing. 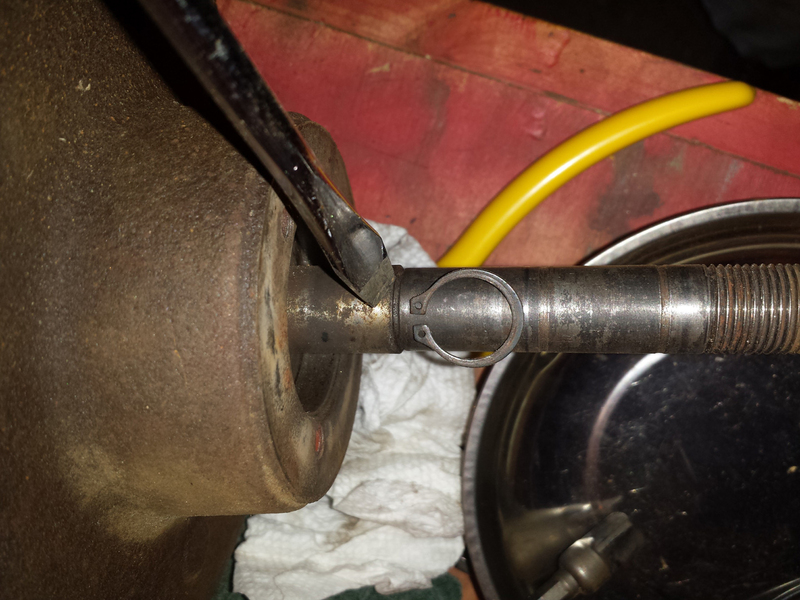 Anyway, the left side came off easily, and I was able to pull the bearing off the shaft with firm hand pressure once I gave it a little squirt of penetrating oil (WD-40 was what I had on hand). 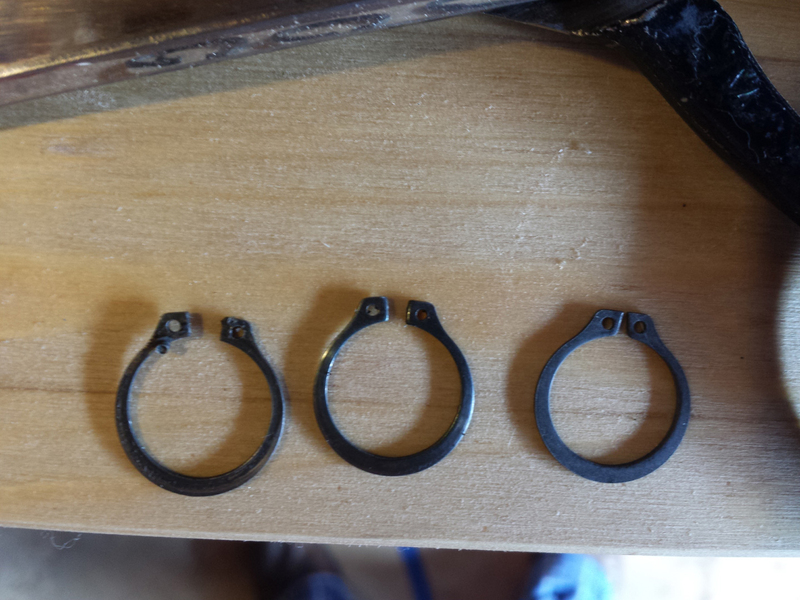 Remember to remove the retaining rings with a pair of snap ring pliers. 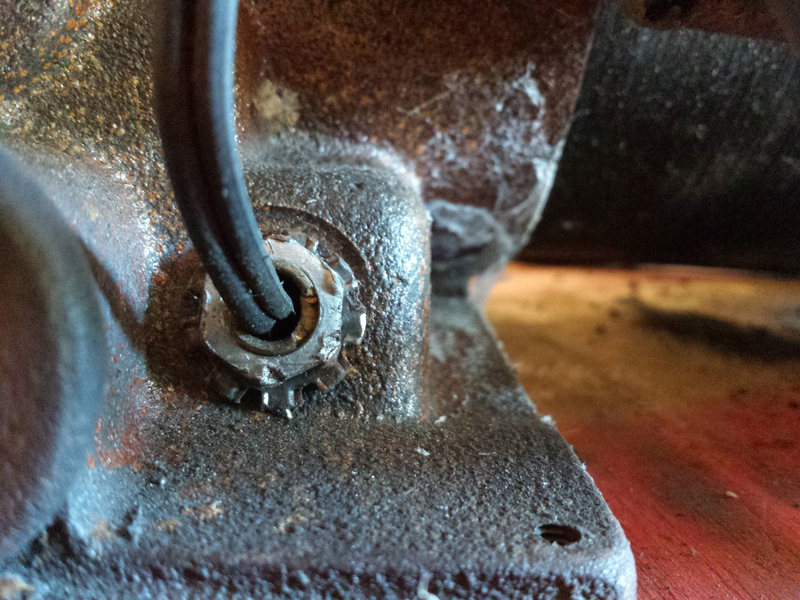 This ring clip needed to be removed to start the disassembly of the grinder end frames. I replaced the clips with new ones when reassembling, later. The bearing was not a lot of fun to remove. I don’t have a puller, so I just gently tapped until I got it loose. 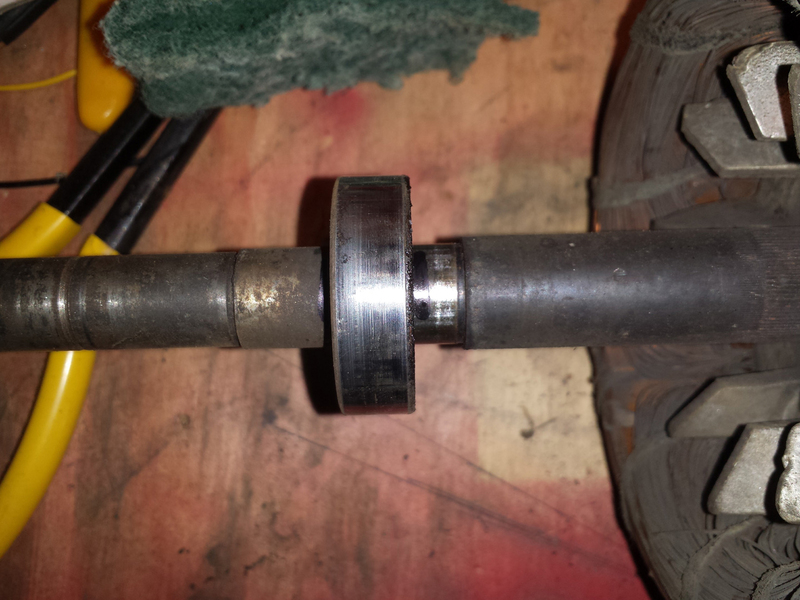 I replaced the bearings with Japanese 6203-2NSE Nachi Bearing 17x40x12 Sealed C3 Ball Bearings from Amazon. The right side gave me a lot more trouble, mainly because I was trying to be gentle, so as not to break anything. You need to disconnect two wires going to the centrifugal switch. 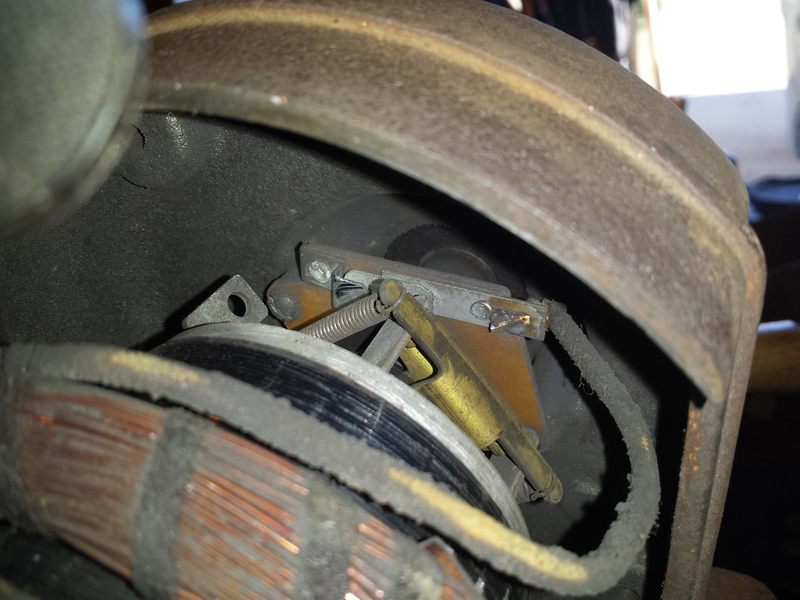 One wire comes off the capacitor, and one comes out of the windings on the stator. My wires were pretty crispy, but you are not going to be able to remove them from the windings, as they go in way too deep to access without completely rewinding the stator. My wires were soldered onto the switch, so I used a small flathead screwdriver to remove the two screws holding the switch board onto the right side housing. The board would probably crack easily, so be careful if you do that. You can unscrew them if you’re patient and have a small enough driver. 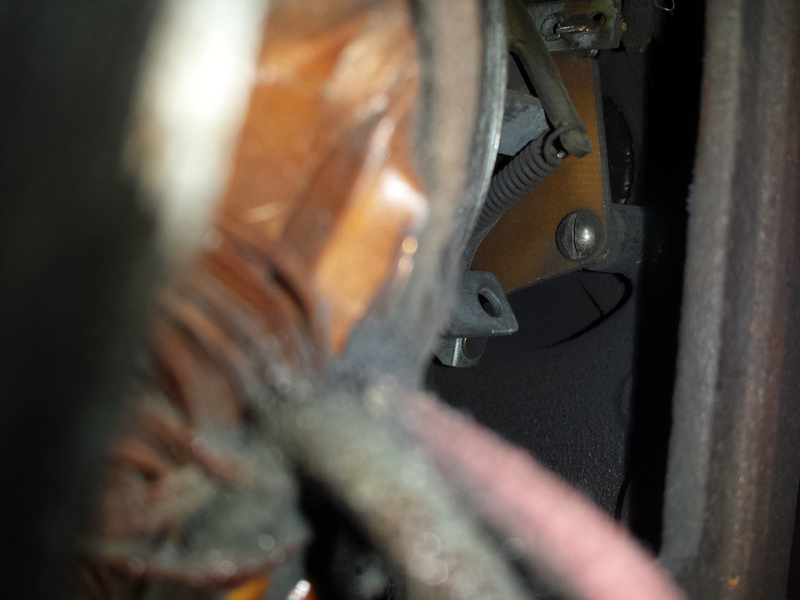 Alternately, see what I suggested above about going through the center of the stator. 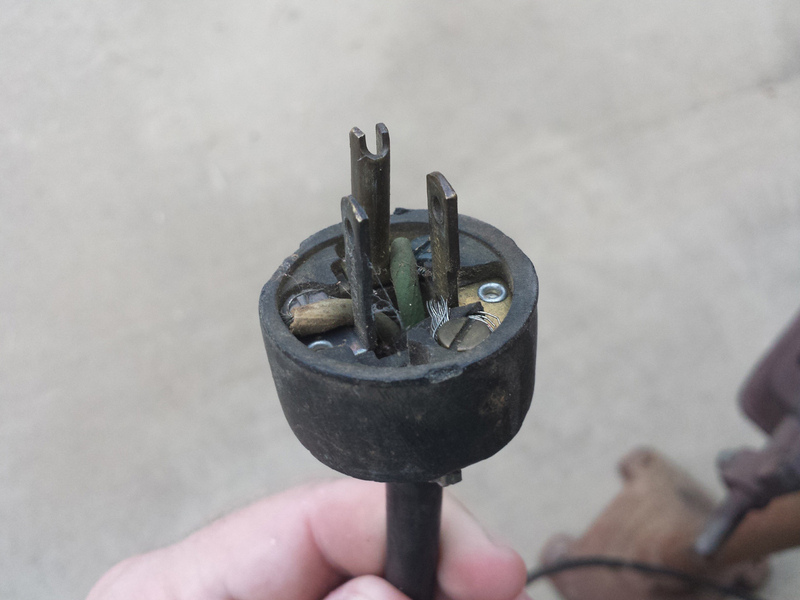 The centrifugal switch was screwed to the end frame with two screws. Here is one. At that point, the bloody bearing would not give up the ghost and release the housing, so I spent an hour coaxing it loose. Life would have been much better with a proper ball bearing puller. I finally resorted to damaging the bearing since I was planning to replace them anyway; it was really stuck in the housing. 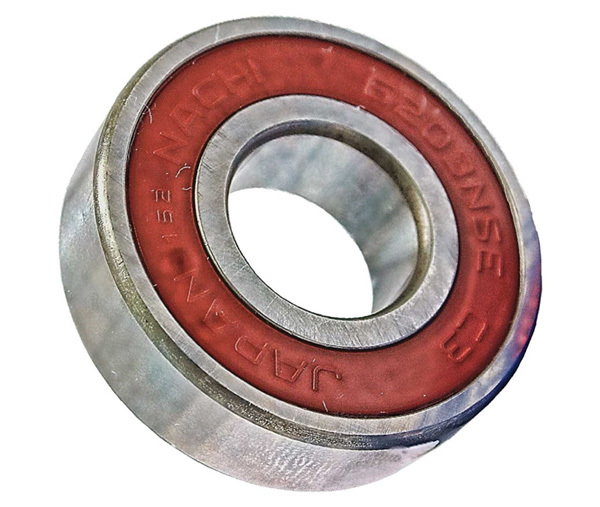 You can usually cut carefully into the bearing race to free it up, but that’s a one-way ticket, of course. Don’t forget to remove the cord. I was going to replace it, so I ended up just cutting it. I love this murder plug. It might be safer to just insert two screwdrivers into the electrical socket and connect them with your fingers. At last, I separated the end frames and started prepping them for painting. Whew…Next time, we’ll delve into the grinder’s guts. Hello. 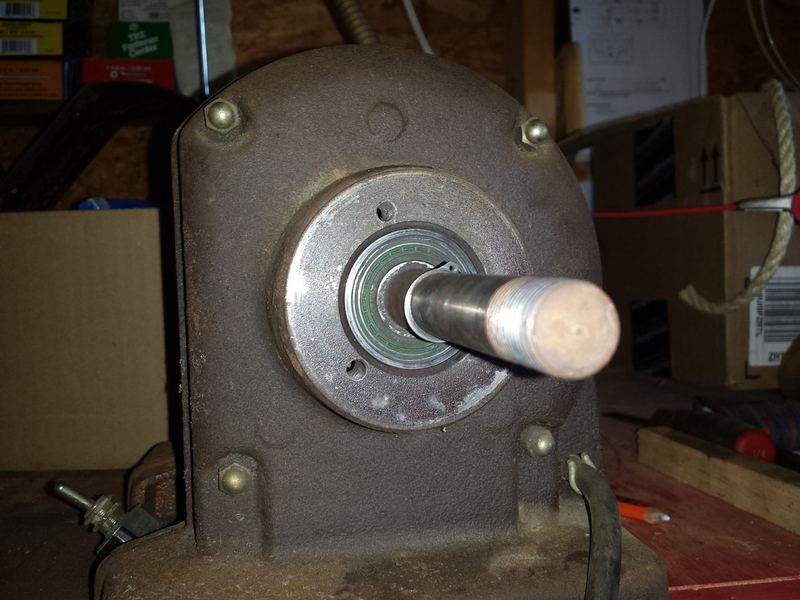 I just picked up a 115.7575 grinder today. The seller said the switch was bad and he just bypassed it so he would turn it on and off by plugging it in then unplugging to stop. i replaced the switch and with it off it growls and just creeps like a motor with a bad start capacitor. It runs as expected when turned on. I am not sure if it is wired wrong or something is wrong with it. Do you have a wiring print of this machine. I also learned from your photos that there is a centrifugal switch in the motor. Could the problem have to do with this switch? Any help would be appreciated. thanks. If I understand correctly, with the power switch off and the machine plugged in, the motor is growling and trying to start, then when the switch is turned on, the motor functions correctly? Sounds to me like the switch is shorting across when it is off, allowing a little current to trickle across – not enough or too intermittent to start. I would begin by checking the resistance across the switch when it is in the off position. I think a single pole single throw 20A switch is what you’d want to replace it, but double check me, since it has been a few years since I was inside mine. Try that and if you are still having problems I will see if I still have my wiring sketch. You can also sign up on OWWM.org and ask the smart guys there. Edited to add: The centrifugal switch puts power into the start windings on startup (giving the motor spin) and cuts off after a few seconds (cutting the start windings off). If it was not closing, the motor wouldn’t start properly, and it was not opening, the starter windings would burn out in short order. Based on you saying it runs ok, I don’t suspect the centrifugal switch.